Video copyright Youtube User ID bobf72450.Joy Williams- ChristianMusic.comHere With Us performed by Joy Williams from the album, Come, Let Us Adore Him. 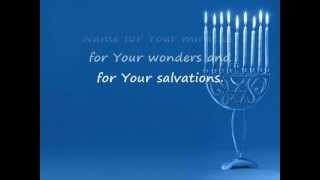 Video copyright Youtube User ID bobf72450.The Hallalu Recitation from the Chanukah Celebration. This video is to be used in a group setting where it is recited in unison by the participants. 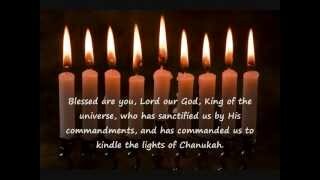 The Chanukah Blessings for reciting or reading in a congregation setting. This video is to be used in a group setting where it is recited in unison by the participants. Video copyright Youtube User ID bobf72450.The is the second Chanukah Blessing that can be recited after the first traditional blessing.This video is to be used in a group setting where it is recited in unison by the participants. Video copyright Youtube User ID bobf72450.The additional Chanukah blessing for the first night of Chanukah only. This video is to be used in a group setting where it is recited in unison by the participants. Video copyright Youtube User ID bobf72450.Oh Chanukah, Oh Chanukah with Lyrics performed by Neal Katz from the album, Be A Light- Chanukah Songs For Grown-Ups. Lyrics in English and Yiddish. A video by Youtube User bobf72450.All Is Well sung by Point Of Grace. Uploaded by bobf72450 on Dec 22, 2011. A video by Youtube User bobf72450.All Is Well from the Michael W Smith album, "Christmas". A video by Youtube User bobf72450 in cooperation with Judy Tellerman.Oh Joy sung by Judy Tellerman from the cd, SONGS OF THE CODE. 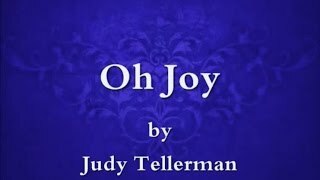 Oh Joy © 2011 words and music by Judith S. Tellerman. Re-Mix by DToolz at Hideaway Studios. The song can be found at cdbaby. Mary Did You Know by Natalie Lund from the album, Bereden Vag. Very beautiful A capella rendition. Mary Did You Know sung by Kutless from the album, This Is Christmas. 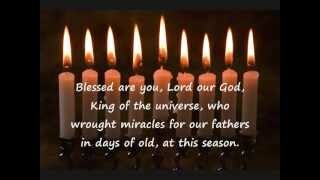 Video © Youtube User ID bobf72450.Birthday Of A King sung by the Talley Trio from the album, It's Christmas. Video © Youtube User ID bobf72450.Hallelujah, Light Has Come sung by BarlowGirl from the album, Home For Christmas.